Before Patou came to Old City with its ultra-hip appeal, Patrice Rames already had a Philadelphia success nestled atop the Marketplace Design Center in Center City. Since 1987, Patou’s sister restaurant Bistro St. Tropez has been serving Philadelphia foodies the finest of French food, and has given five-star French spots some stiff competition. In Bistro St. Tropez you will find the illusion of Provence amidst simple elegance, classic French cuisine, and a predominately French wine selection—all presented with Rames’s signature classic style that gives Philly a true taste of France. The Schuylkill River may not be the Rhône, but a view of it from the cozy bistro on the fourth-floor Marketplace Design Center sends diners to France with thoughts of Provence. The simply elegant atmosphere that features large windows and breathtaking views of Philadelphia—and the fine authentic French food to boot—is Bistro St. Tropez, Head Chef/Owner Patrice Rames’s first of two successful gastronomic ventures in this city. Twenty years ago, Chef Rames, who is himself from Provence, left Philadelphia’s Le Bec Fin to pursue his own dreams. Putting his culinary mastermind to work, he opened Bistro St. Tropez, which fast became a Philly treasure. With 20 years behind it, Bistro St. Tropez is well on its way to Philadelphia’s gastronomical history books. Rames’s talents have allowed him to thrive amongst Philadelphia’s most acclaimed restaurateurs, even giving his old employer, Le Bec Fin’s Georges Perrier, some competition. The thing that stands out most about this place—other than the food, of course—is how the décor blends different sorts of moods that all work into the most charming of ambiances. The hushed hallways of the otherwise-vacant Marketplace Design Center are kind of eerie on the journey up to the restaurant, but there’s something almost striking and wonderfully mysterious about them. The front room and bar are separated from the main dining room by hanging, almost-sheer, cloth separators that don’t close the rooms off and make the entire place appear flowing and large. The main dining room is vast and dimly lit, with thick round pillars that make the place feel sort of like a banquet hall. The tables are set with an intricately elegant touch and feature fine glassware, white linens, colorful flowers, and candles that give off a seductively subdued light. Simple brushed steel chairs line the long or round tables and add a tasteful touch—simple, elegant, and classic. The frillier aspects of the décor are offset by more wild elements—colorful splashes of light that beam from a ceiling lined with spotlights and vibrant cylinder shaped lighting fixtures, palm trees, and colorful wall paintings with French phrases scribbled on them—that keep the place from feeling too pretentious. The walls of the front dining room and bar are lined with vast windows that open the place up and let in an inexplicable light. At dusk, when the city is beginning to light up and the sky gives off a soft blue color, the light sets a wondrous feel about the place: it seems mysterious yet also comforting. It feels as if you’re safely tucked away in this cozy, yet chic, bistro while the rest of the world trudges on. The subdued lights of the candles add to the mysteriously wonderful feel and the place is simply charming. The fact that Rames hails from France is obvious, because the expertise to which his fare is crafted can only come from someone who was brought up loving French food. His extensive education in French food is evident in his classic style and signature taste—an authentic and brilliant blend of flavors. Rames’s talents give Philly foodies a serious sampling of French food. Once we get over the awe of how pretty 30th Street Station looks in the twilight, we finally sit down and begin to glance over the menu—a menu that has evolved over the years from a simple, dependable, lunch-appropriate selection (true to bistro form) to a more upscale and dinner-friendly selection for the serious foodie’s palate. Sourdough bread accompanied by a delicious pesto sauce is placed in front of us, and we hungrily tear at it. The pesto sauce is flavored with garlic and salt, its strong and flavorsome, a much better alternative to butter or olive oil. A bottle of red starts us off—a full-bodied French Bordeaux—along with a couple of hors d’oeuvres. We all love crab cakes, so we decide to try Rames’s version—the Gallette de Crab is perfectly textured and appropriately filling for a first course. It’s flawlessly lumpy, just the way a good crab cake should be, and I can taste an accent of shrimp mixed in with all of that creamy crab essence. Though not everyone at the table is a fan of fungi, we decide to take a chance on some mushrooms and try the Champignons—an earthy medley of wild mushrooms afloat in a deep brown sauce, with a subtle taste of truffle from a drizzle of truffle oil. One thing I’ve notice about Rames is that while he makes traditional French food, when it comes to his own dishes, he’s not a stickler for consistency. He likes to mix things up a little bit, a little surprise here and there—which is a good thing in a culinary culture as adventurous as Philadelphia’s. He is also a culinary genius with sauces. No matter what the dish; the sauce is always a tasty key element. And our entrees, both which prominently feature sauces, are definitely tasty. The Porc features a grilled pork chop, slathered in a deliciously lush pork demi-glace. The tenderness of the meat and the rich texture and flavors of the sauces melt in my mouth. A side of potatoes au gratin (or potato dauphinois in French) is not dry like most of its kind; it’s a creamy soufflé-like dish with a cheesy kick. Finally, sautéed zucchini, soft but not too mushy, completes this satisfying pork dish. A glass of Provence Chardonnay, with a hint of spiced apple and vanilla, is succulent and goes well with the tender meat. The Canard—duck breast glazed in a honey sauce—is perfectly tender and sweet all around, only to be offset by the seasonings of the red bliss smashed potatoes. The duck is paired with down-to-earth Fava beans and beets, and the combination of sweet and earthy is tasty. The dish has a fragrant, tantalizing smell. A traditional French dessert, the Chocolate Mousse is sweet while not sickeningly sweet. The mousse is playfully seductive as it is light and airy and touches the sweet tooth just enough without being overbearing. The chocolate flavor is obvious, yet subtle enough as to not downplay the mousse’s decadent, light texture. The Tarte aux Pomme, accompanied with the freshest tasting vanilla ice cream that I’ve ever experienced, is a great mixture of temperatures. The flaky pastry and spicy cinnamon-apple mixture are both served warm, and the chilled ice cream melts perfectly in my mouth. It’s a spiced and sweet delight, perfect for the end to an evening. Bistro St. Tropez offers a truly wonderful French bistro-feeling: comfy but also slightly chic and glamorous. There’s a prix fixe menu available before 6:30pm, in true-to-form European fashion. The expertly crafted, authentic food combined with the charming faux-French ambiance is truly seductive, and it’s almost a guarantee that you will make this cozy little bistro tucked away on the fourth floor of the Marketplace Design Center a regular spot. Where exactly is Bistro St. Tropez located? Bistro St. Tropez is on the 4th floor of the Marketplace Design Center in Philadelphia. Parking at Bistro St. Tropez varies. Parkway Garage on 23rd Street is located below Market Street and above Chestnut Street and is $5.00 from 5:00pm-10:00pm. There is metered street parking available until 8:30pm, additional lot parking on both corners of 23rd Street and Market Street. Fricassee of wild mushrooms, truffle oil drizzle. Steamed PEI mussels with shallot parsley white wine broth. Sautéed escargots with macadamia nut shitake butter sauce. Pan seared scallops, asparagus, white potato, citrus caramel sauce. House-made chicken liver pate, black olives, spring radishes, Dijon mustard & grilled croutons. White anchovy tart, kalamata olive tapenade, peppers, goat cheese, caramelized onions. Grilled calamari, over green field, lemon juice, and olive oil. Duck confit, roasted beets and apple with watercress, goat cheese vinaigrette. Steamed shrimp, scallops, and jumbo lump crabmeat with baby arrugula and radicchio, lemon vinaigrette. Crisp romaine with herbed croutons and grated Parmesan cheese. Field greens with string beans and roasted peppers, shallot vinaigrette. Creamy risotto with day boat scallops, mushrooms and asparagus. Grilled hanger steak with sweet mashed potatoes and asparagus. Pan roasted salmon, ratatouille, and arrugula, potato goat cheese Galette, saffron aioli. Grilled sirloin strip steak, French beans and pommes frites. Pan seared skate filet with asparagus, roasted potatoes, and parsley brown butter caper sauce. Pan seared striped bass filet, French beans, potatoes, tomatoes, basil and mussels, saffron bouillabaisse sauce. Pan roasted duck breast, piperade of caramelized onion, suntan peppers, and sweet mashed potatoes, red wine sauce. Fire-grilled filet mignon, Gorgonzola cheese, mashed potato, escarole, bordelaise sauce. Braised lamb shank with carrots, onions and mashed potatoes, shallot jus. Pan roasted French chicken breast, potato gratin and asparagus, red wine sauce. Grilled lamb short loin, fennel, mushrooms, French beans and roasted white potatoes, thyme jus. My friend and I wanted a fun night out in the city and chose this restaurant because it looked awesome and was something different. The staff was VERY VERY friendly and very willing to cater to our needs. The food was some of the best food I've ever had. There was a wide selection of appetizers, salads, entrees, and desserts. The chocolate desserts were very RICH but not too swet. The homemade pesto and rolls couldn't have been any fresher. Although we didn't try the wine selection, the champagene and mixed drinks were awesome. We were seated immediately and enjoyed the view of the 30th street station. The restaurant wasn't crowded but the waitstaff seemed rather busy, but they made sure they took care of us anyway. WE LOVED IT! They even offered a heafty discount on a future visit. I appreciated the friendly service and hope to see the guys again very soon. I have now eaten here several times and each time is better than the last. The style of food is southern French with a few twists. 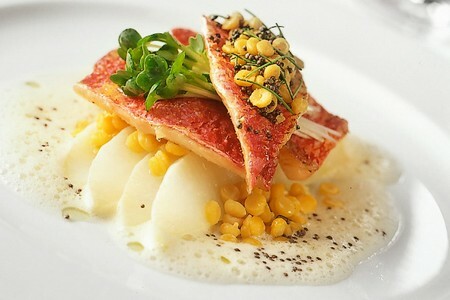 I've recently tried the crabcake, which is crabmeat bound together with salmon mousse not bread, the flavor is brilliant! We've also had an outstanding mousse de foie gras and a cassoulet that convinced me that I should have been born French. The cuisine, although not geared to the unsophisticated diner (e.g. someone who might expect the typical breaded lump of a crabcake), is accessible and innnovative and very affordably priced for the type and quality of menu selections. Service is friendly but not too familiar and the restaurant itself is stylish, comfortable and has an terrific view of the river. Recently dined at Bistro St. Tropez during Philadelphia Restaurant Week and had an excellent meal. Food was superior, service was excellent and ambiance was memorable. Will recommend to others. Great place to entertain out of state guests to impress. The walk through the furniture and showroom galleries is a bit odd as you on on your way to the restaurant...but the place is fabulous. Food is exceptional and the views awesome, expecially if you are visiting from out of town as we were. Really enjoyed the evening. If you are looking for a superior restaurant experience in a unique location with a wonderful view of the city, Bistro St. Tropez should be at the top of your list. The menu choices, wine, food, and service is some of the best I have experienced in any U.S. city. Food was excellent. Service was 4 out of 5. Food was excellent. Service was 4 out of 5. White wine was good, but not cold enough for some in our party. Waiter did resolve that though. I have dined there in the past, and the others that I brought enjoyed it and would return. To call the experience my fiancee and I had here a nightmare would be generous. We were seated immediately at around 7 PM, and the waitress took our order right away. Our wine came out first,with our salads following 20 minutes later - still, all good. The salads were okay - nothing special and certainly not worth the price. After our appetizer dishes were cleared away, we sat and waited. In the next room, what seemed to be a private party began getting louder and louder. There was screaming, blasting music, and crazy dancing that truly threw off what little ambiance there was for a romantic dinner. When that kind of party is going on, either warn your guests ahead of time or keep the party in check! We continued to wait, our waitress not even coming by to check on us or see if we needed more of our bottle of wine poured for us. At around 9:30 PM, we were FURIOUS. 2 and 1/2 hours waiting from sit down time to meal with our appetizers long gone? And not even a second serving of bread? We ask for an update, and the waitress finally says there are "problems" in the kitchen. Fine. But then warn your guests earlier, don't wait for them to ask! When all was said and done, the meal was decent, but nothing fantastic with my meal completely cold. The check comes with our coffee listed as on the house. We complained to the manager who basically told us to deal with it, though he did take a bit more off the bill. We would NEVER go back here and suggest all thinking about it avoid this establishment at all costs. It is overpriced, the service is horrible, and the ambiance is non-existent (especially when there is a party going on in the bar area). A 1 star rating is frankly lucky. Unfortunately, I did not research Philadelphia restaurants in depth and read the review posted here. Since the restaurant was not far from Philadelphia Museum, it was convenient. The service was fine, but the food was horrible. We were with friends from Phili. All of our appetizers tasted awful. The entrees were a bit better, but Paella was overcooked and poorly presented. The prices are quite high. The only saving grace was the wine, which was very good. The bill for the four of us was nearly 200 dollars with appetizers and entrees and five glasses of wine. I have been dining out for many years in major cities throughout America and in Europe as well. I have no idea how this restaurant received so many stars. I imagine it must pay for that rating.